The second in our Meet the Team at Hearing Wales series introduces us to Trainee Audiologist and all-round Superwoman, Fiona Stares. 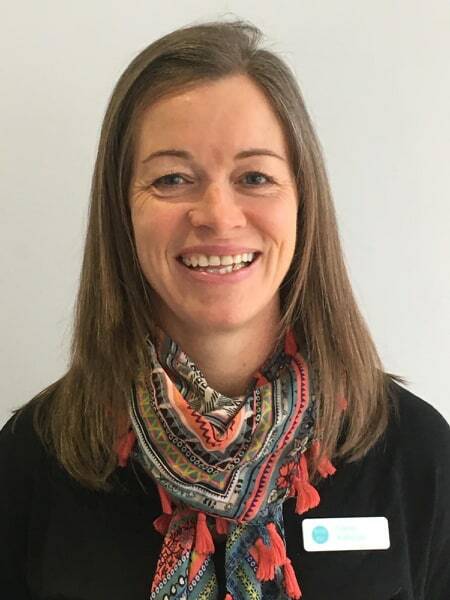 Fi is currently finishing up the extensive training to qualify fully as an audiologist, as well as helping to keep business running in the four Hearing Wales offices, raising two boys and running, swimming and cycling around the roads and lanes of Gower. “I’d been working as an assessor for Gower College for IT Apprenticeships for some years. I had enjoyed it but really needed a new challenge. Hearing Wales were looking for an audiologist and one of their Directors was keen to give me the opportunity to train. This was an opportunity I could not refuse at my age – the chance to be an “ologist”! It’s never too late after all. “I enjoy interacting with people and being able to offer them the advice and help that can make a difference to their quality of life, and in some cases change how they live their life. No one situation is ever the same so there is real variety in the role.